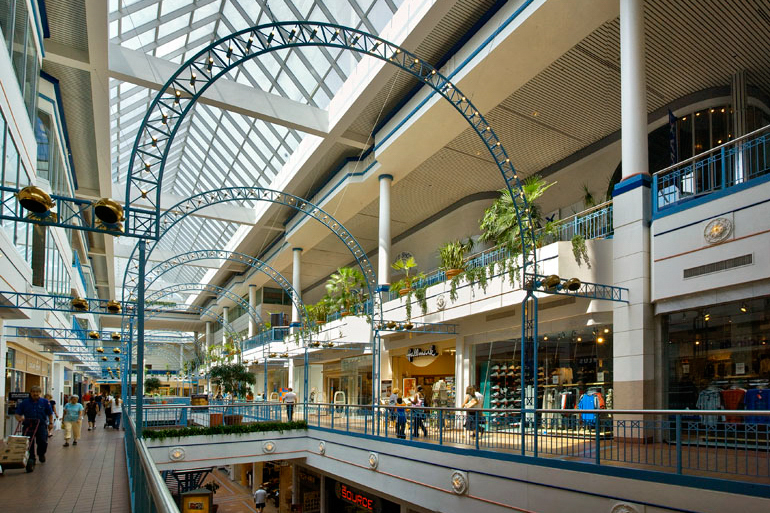 Crosier Kilgour & Partners was the structural engineering consultant for this commercial retail development, constructed between 1985 and 1987. The building foot print is approximately 210,000 square feet with two levels of underground parking below the entire footprint. Four levels of reinforced concrete superstructure comprising two levels of retail and mall space with clerestory glazed structural steel structures in the mall areas. Superstructure and parking levels are supported on a combination of caissons, rock-socketed and bearing on till.